Corporate team-building event ideas for meeting planners. Team-building exercises have come a long way since the trust fall. Refresh your meeting-planner toolbox with these ideas for team-building activities around Chicago. Chicago&apos;s most famous improv team, The Second City hosts team-building events that teach groups the craft of comedy with their signature "Yes, And..." approach. It&apos;s the idea that you say yes to every idea, consider it, and add to it. This is an underlying concept taught within The Second City and is a component in everything they do. Whether the group needs to "lighten-up" or they are already a funny bunch, the workshops will tighten the group bond. Events usually last two to three hours and include multimedia and social networking options and can be streamed live so those not in Chicago can participate remotely. Group sizes accommodated range from a few team members to hundreds of attendees and pricing is based off the scope of the event. 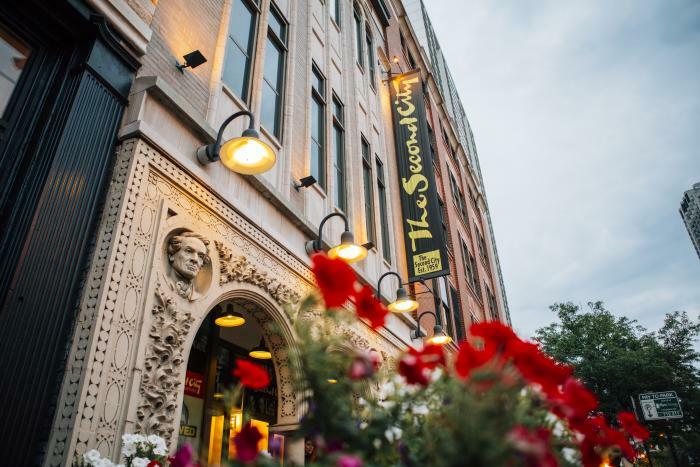 Learn more about The Second City team building options. Don&apos;t just be in the same room as your team, work together to escape it. Fox in the Box is ranked as the #1 Escape Room in Chicago on TripAdvisor. The high-action, high-entertainment challenges create an atmosphere of collaboration and creative thinking in thrilling 60-minute missions. In The Lab, perfect for escape room beginners, your group will have to cooperate in order to create an antidote to save yourselves and mankind from the approaching zombies. For experts, take on the role of inmates who must take their chance for freedom when a riot breaks in this simulated prison escape. Each activity accommodates groups of two to five people. Learn more about Fox in the Box Chicago&apos;s team building adventures. 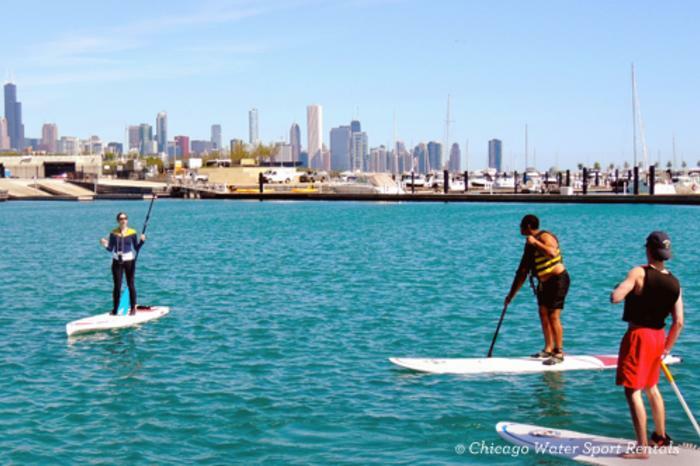 31st Street Harbor, the newest addition to the Chicago harbor system, has a plethora of water sport rentals to make Lake Michigan your personal playground. Corporate, incentive and team building groups are welcome to rent jet skis, kayaks, paddle boards, and banana boat rides from Chicago Water Sport Rentals, getting a unique view of the Chicago skyline while having fun in the water. Also be sure to try out the FlyBoard, the closest thing to feeling like you&apos;re wearing a jetpack over the water! Competitive and fun activities like paddle boat tug of war, paddle boat yoga, and tag team races are some of many ideas for team-building on the water. Windy City Fieldhouse hosts a myriad of wide-ranging team-building activities, from summer picnics to team races designed to inspire, motivate and strengthen the team bond. Choose from 10 different team-building challenges. From "Mission Impossible" scavenger hunts (teams look for clues scattered across popular areas around Chicago like downtown, Lincoln Park, Navy Pier or Chinatown) to gauntlet challenges packed with trivia and timed events to "Amazing Race" Chicago (a three- to five-hour race across the city). They have so many activities; you&apos;ll find the perfect challenge for your corporate team. Pricing is based per size of group and activity. Learn more about Windy City Fieldhouse. Learning to fly at the Trapeze School of New York (TSNY) makes for a memorable day of team building. TSNY Chicago recently opened in Chicago at Belmont Harbor and offers team-building activities centered on learning the basics of trapeze work while building a strong sense of team spirit and comradery. TSNY hosts private trapeze classes for as many as 100 people. A typical class lasts two hours and students learn how to knee-hang, swing into the grip of a professional trapeze catcher and dismount from the trapeze. For larger groups, organizers can arrange for additional activities such as juggling, trampoline and aerial skills. TSNY customizes each group&apos;s activity based on size, time limit, and number of participants. Learn more about TSNY team-building activities. Whether the team&apos;s goal is to bond over a hand-made meal, learn healthy cooking tips or embrace the latest culinary trends, cooking classes are an easy, fun, and satisfying way to incorporate team-building skills. 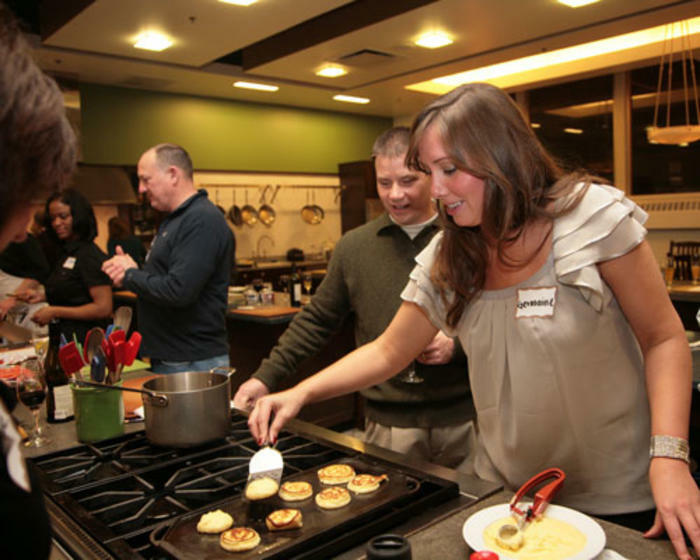 The Chopping Block offers team-building cooking classes that are based on the idea that the team who cooks together will have the recipe for success. Experienced chefs lead each team-building event with a wide variety of menus from around the world, including their Tokyo Table with spring rolls and pad thai and the Homemade Pasta Party with grilled shrimp wrapped in basil and prosciutto, hand-made fettuccine and tiramisu. Pricing is based per person or group rates for 20 or more. At Chicago Dine-Around, teams embark on a culinary team-building experience that starts with an arrival reception with passed hors d&apos;oeuvres, followed by one or more hands-on activities, and ultimately a delectable meal. During the hands-on activities, guests learn recipes and cooking methods, make part of their meal, and/or compete in teams, depending on the particular activity selected. Current themes include Authentic Italian, Latin-American, and Mixology. Kidbilly Music is a small company of talented and dedicated songwriter-facilitators that are committed to helping you experience creativity in a step-by-step process, enabling you and your group to tap into your individual and team abilities to innovate and problem solve. Kidbilly Music has won awards along the way, working with the famous and not so famous, passionately sharing their insights, humor, and dedication to the value of team building with music. Game Night Out isn&apos;t offers a new opportunity to connect with family, friends, or co-workers, to showcase your knowledge, compete head-to-head and work as a team. You and a group of 6 to 16 friends, family, or colleagues compete head-to-head, in teams, during a private 2-hour experience of all original party games. Each game moves fast, keeps you on your toes, and requires you to think quickly and work as a team. A host guides the experience, introducing you to the games, explaining the rules, encouraging competition, and keeping the experience on track and full of fun. Get more Chicago meeting professional&apos;s tools and resources.